Ince Karate. 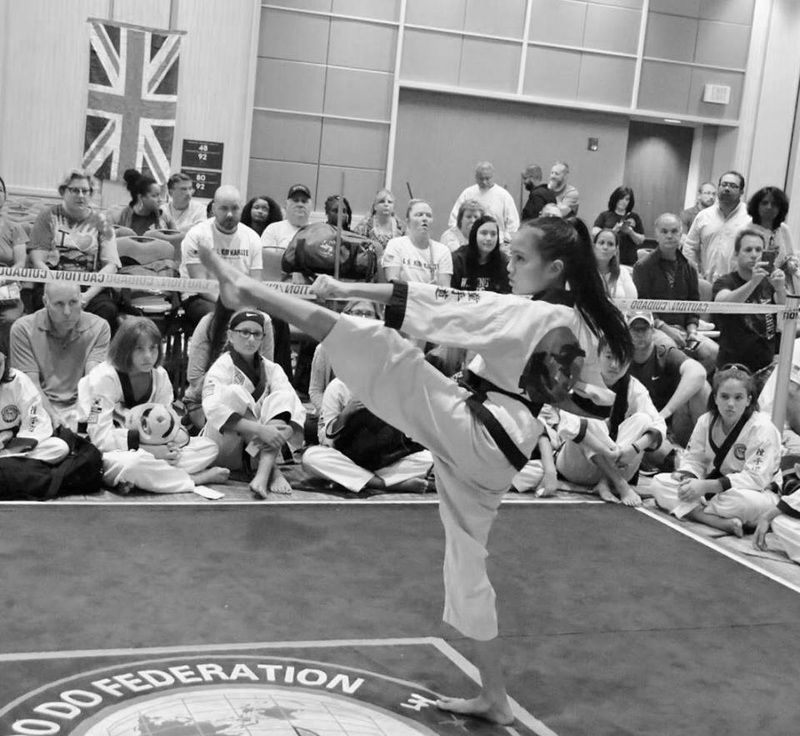 Ince Karate is an International Tang Soo Do Federation School offering multiple class types, loads of traditional and practical training material, and flexible schedules. With the location at the main shopping center, it meant we could leave the kids with the instructors for training while we shopped, ran to the shipping store or watched from the viewing area. We decided to enroll our oldest son and our daughter (five at the time), who wanted to join her big brother. A short time after joining the school (Ince Karate), we heard about a world tournament in Chicago. Students from the school could attend as part of the organization, the International Tang Soo Do Federation. We thought Chicago would make a good road trip and the kids were invited to participate in rallies to raise money to help them attend the tournament. They sold candy, washed cars and even joined a kick-a-thon – for which they were presented with a check for almost $800 to help with the cost of traveling to the tournament. On that trip our son won a silver medal in his division (orange belt 8-10) and my daughter won a gold medal in her division (yellow belt 5-6). It was just for fun at the time and their divisions were fairly limited at that age and rank. But it was something they could say they worked for and did on their own, and I (Dad) got to see that this little school in The Woodlands, Texas, was part of something more that met the eye. 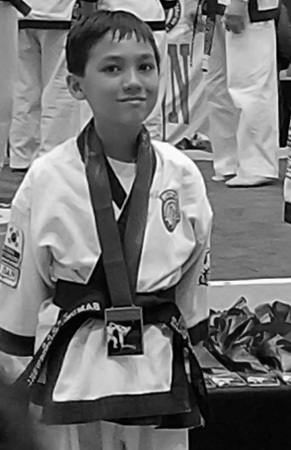 With hundreds of adult competitors from all around the world I saw it as something I could do too, and it started a direction for our family that changed our lives. By the end of that year, there were four in our family enrolled in martial arts at Ince Karate. The kids were getting lots of time with peers and learning a useful tool on how to handle themselves in unpredictable situations. In addition, as part of the organization our personal values of responsibility and respect were reinforced by those they learned at the school, passed down through the traditional martial arts practitioners from generation to generation. The instructors at Ince Karate are very passionate about what they do. William and Yennie Ince both left their professional careers to start the school to be able to do what they love, giving up a lot along the way. But you can see their passion in their complementary teaching styles, stern and compassionate – I’ll let you come and see which is which. After seven years with Ince Karate, my kids have learned to be respectful of others, including adults, which has helped in school and social interaction. They have learned to be humble but proud at the same time. They have learned the lessons of defeat and accomplishment. Our youngest attends the after-school program and is picked up by Ince Karate where he completes his homework and then gets to play for a while with friend before participating in his daily karate class. My two older kids attend the night classes along with me. Many of their friends attend as part of the private P.E. program through the school district, allowing the students to take additional art or music electives in public school, getting their P.E. Credits in at night. Now seven years after walking into the school for the first time, my older son and daughter have earned their 2nd degree black belts, and my older son even has his junior instructor certificate. They are healthy and driven to do well (although they still play video games and act like crazy teenagers, Ugh!). My youngest has his first-degree black belt and enjoys the after-school program where he gets to help the instructors show techniques to the newer students. As for adults, there are only a handful of middle aged adults in the school, but I haven’t let that deter me. 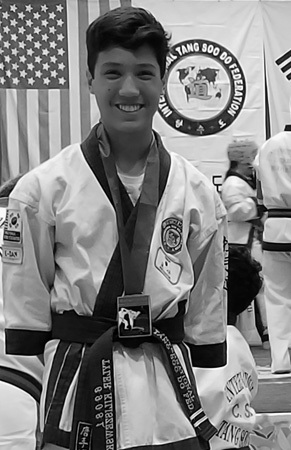 Since the school has now been around for eight years, the first students (now black belt teenagers or young adults) have become formidable adversaries for this 50-year-old, and I use that to my advantage when training for tournaments. The program is great for people of all ages though, and allows for parents to do something with their kids, instead of standing on the sidelines. I would encourage all parents to considering participating in a sport with their child. Mrs. Ince has started a women’s self-defense program which will be resuming in the spring of 2018, for those who don’t want to participate in the traditional program. Several black belts have earned their instructor’s certificates and are available for private lessons to help the students get more one on one training time. If that’s not enough excitement for everyone, their 3-day/2-night annual Training Camp at YMCA Camp Cullen, has been a blast every year. 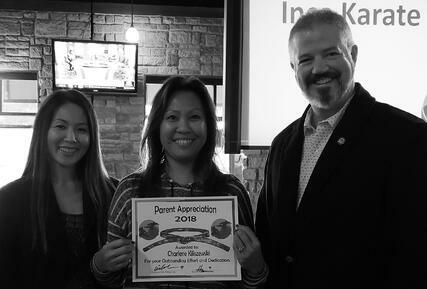 I am sharing this story to let busy families, like ours and so many others in this area, know that with a little hard work and dedication, your families can share in the same benefits we have gotten from making martial arts part of our family programming. Click these links to see our personal journey video “journey to black belt” or see the Ince Karate annual video "2018 Annual Video" or visit Ince Karate for more information about the programs or instructors.